Stopped using it years ago. Not worth the trouble. Yup I hate vector. Horrible product. Switched back to UTX never been happier. I use FTX Vector and like it, it looks so much more real. Yes, I occasionally run into elevation problems, but it usually can be fixed without too much trouble. Vector could be better, but I am happy with it anyway. It was a problem when it first came out but it's been awesome for the past few years. If I find an elevation issue now, it's more because I forgot to go in and set the AEC. Do you have any mesh installed? That will cause massive problems far moreso than Vector ever could. Vector has been a scapegoat for many users over the years. Most of the airport elevation problems caused by FTX Vector can be fixed by manually disabling elevation corrections for affected airports using the configuration tool. You also should set your FSX/P3D terrain mesh resolution to 10m or greater. I found that 5m can cause problems with some airports. There are some vexing problems with certain airports, such as KABQ from my personal experience, which the developers were unable to fix, but for the most part the vector data is quite good and covers the entire world. Is there a special way to disabling certain airports. I have used the tool to do it but when I run a new scan it erases all those changes. I would recommend against doing a scan. What I do is, whenever I install a new airport, first thing I do is to go into FTX Vector's UI and see if there is an elevation correction for it. If yes, I manually disable it. The scans don't seem to pick up sceneries added through the addon.xml, so a lot of the more modern sceneries in P3Dv4 won't even be picked up properly. I've just stopped using Vector since it's release. I don't know whether it's my imagination, but I'm sure the sim seems to perform better. The downside, is that shorelines don't seem quite so nice in some places. But whenever I fly GA it's always in an Orbx region so it's not needed, and if I fly outside of a region it's inevitably in the NGX, so Vector is not really missed in any great way. I only use Vector for the coastlines and performance is good. Great advice! The scan is a nightmare because of it not finding the addon.xml sceneries. And on top of that, I have a handful of airports that need to be inactive such as KDEN, but whenever I do a scan it makes it active so I always have to go back and change it. Not to mention it takes 5 minutes of waiting. Thank you for the tip. You're welcome, hope it helps! I believe what can drag down performance with Vector mostly is the roads, especially in the more densely populated areas. That said, I'm not sure of the performance impact on my setup, as I've never done proper comparisons... But I may have a look in the UI and see if there's anything I might want to disable, with that thought in mind. I'd love to hear from anybody who has a better idea about that, though! Great advice! The scan is a nightmare because of it not finding the addon.xml sceneries. You guys know there is a workaround for this, right? Use Lorby's excellent free Addon Organizer, where you can copy all of your scenery to scenery.cfg, run the vector scan and then restore the scenery.cfg back. Works like a charm and makes the Vector scan much more effective. Interesting, though I am certainly sorry to hear you've experienced issues. I'd argue that not very many people in our community have as much payware and freeware scenery added and activated as I do, and that scenery was made by pretty much every scenery developer in the P3D/FSX community. So I am also running FTX Global and Vector, and I don't have any issues with airport elevation whatsoever. Since I don't know which scenery you're having issues with, I really can't say if I'm able to run the same scenery without issue, but if I had to guess I'd say that I am. This is actually good news, because it lets you know that it's solvable. In tech support, I've seen a lot of cases over the year where someone had uninstalled scenery however some of the files remained and it was those files that caused people problems. The other issue I've seen too much of is people adding freeware scenery or AFCADs by dumping the files in the Addon Scenery folder... which unless someone is only running a few sceneries, results in major problems down the road. My best wishes for resolution to the issues you're experiencing! Yeah I do know and I have tried, it still didn't find those sceneries for me. But anyways, this new method of doing it manually is faster and less steps. Just my 2 cents, but that's way too much work for simply disabling a few airports with AEC. It's not like we're adding hundreds of new airports every day or every month even. I'm with PWJT8D, just do it faster manually. As for performance with Vector? As with every other complex addon we add to the sim, of course you are going to see some sort of hit. It's up to each user to tailor it to their own needs and capabilities of their system. Ultimate Terrain is good and has less of a hit, but that's because it doesn't have anywhere near the detail and data included. I just use AEC to disable it. Type in the airport ident that you have recently added and select disable, then apply. If the airport doesn't show in AEC, then it hasn't been modified by vector (funny that many users still like to blame vector for this). Vector is a good product but make sure to disable secondary roads and I'm not a UT fan. Improves coastlines greatly. The Grand Canyon looks goofy without it. I feel sorry for you ! But I think the main culprit are P3D's developers themselves. Since years and years they tote this ancient FSX terrain engine around, from version P3Dv1 till up to P3Dv4. Nothing has changed substantially in that case, regarding a complete overhaul of the terrain engine - and how the sim depicts and handels terrain/airport elevations since then. In FSX you will get exactly the same messy results by installing 3rd party mesh. Even the terrain.cfg content of nowadays P3D 64bit has stood the same towards FSX terrain.cfg (--> in this case I'm talking about both's default configuration. And YES: I myself have compared both files via notepad++ multiple times). Of course, only this file is not the main issue by far. 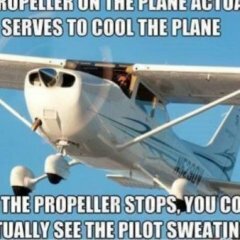 But for me just one shred of evidence to show up how much of FSX's old garbage and unsolved issues (depiction of terrain) are still under the hood of P3D v4 in 2019. "We want a new terrain engine! Get rid of all that useless stuff from FSX! We want it now!" "OK, here's your new terrain engine." "What, you mean none of my scenery addons work, so I'm gonna be stuck with default scenery? And there's nothing available yet because it's an all-new system, and for some reason all the scenery developers are saying they want me to buy my addons again to put in to this new version? Why did you do this? No way am I buying that, I've spent way too much money on scenery and now you want me to throw it all down the drain and buy it all over again? I'm sticking with P3Dv4/P3Dv3/FSX/FS9/FS2002 <delete as appropriate>." I'm not saying it doesn't need to happen, but I'm sure you can appreciate the commercial risks involved on all sides -- LM and scenery developers alike -- in fundamentally overhauling (i.e. breaking) everything that we've known for the last 20+ years, and why they might be quite cautious about how and when that happens! Ultimate Terrain is good and has less of a hit, but that's because it doesn't have anywhere near the detail and data included. UTX regions have far more detail and data compared to the same area of Vector. Another problem is that if you go into the AEC panel and deactivate an airport the next time you run a complete new scan all the changes that you made are erased. Simple solution: run AEC once after the initial installation of P3D. Later, do not run the autoconfig tool anymore but disable the airports manually. There is no reason to run the autoconfig tool after adding a single scenery of which you exactly know what it is, no? Furthermore, I always do a testflight with the Robinson on a novel scenery. Like this, it can basically not happen that I arrive at a scenery that looks bad after a long flight. -- in fundamentally overhauling (i.e. breaking) everything that we've known for the last 20+ years, and why they might be quite cautious about how and when that happens! 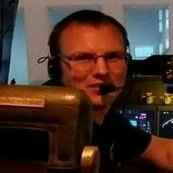 For heaven's sake: I would take a new terrain engine immediately- exclusivley developed for P3D64bit ! I would not even think about backwards compatibility ! E.g. look at the other sims on market, like DCS, AFS2, X-Plane11: their out of the box terrain engine/depection is sooo much more progressiv than FSX/P3D - and no airport elevation issues at all, even with sloped runways by default. Yes: Give it to me now ! Very similiar to all of our journey of life: At a certain point on your way you have to let go for something better, or things will become worse !